When you hear the word “summer,” what comes to mind? Our first thought is of beautiful sunsets comprised of smoldering red, orange and golden hues. With that being said, today’s tutorial focuses on the warm yet vibrant sunset-inspired shades from the Sigma Dare Eye Shadow Palette! These shades were a perfect complement to our model’s skin tone. Keep reading to find out how to get the look! 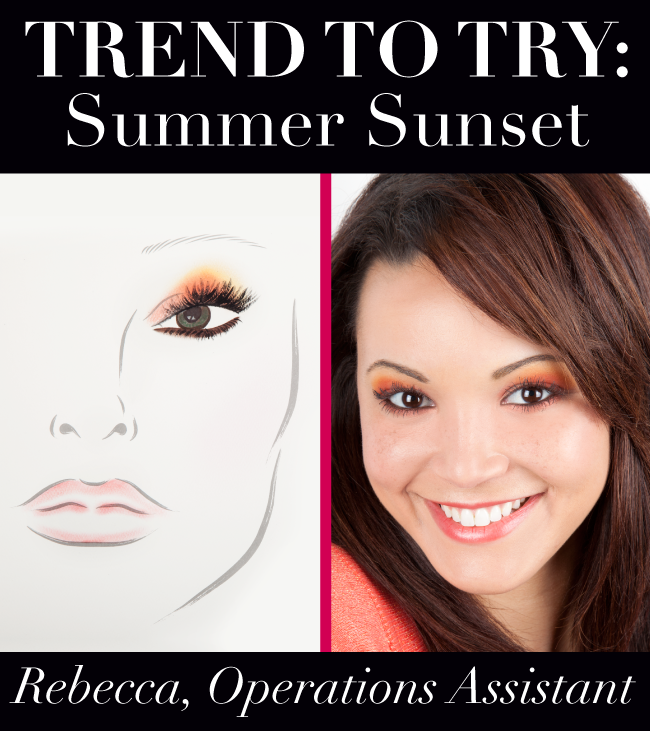 About the model… Rebecca has been working as an Operations Assistant at Sigma since Sept. 2011. The main focus of her job consists of packaging the various orders that get sent out to customers on a daily basis. Use the other side of your brush to press the shade “Catch” onto outer 2/3 of eye. Next, use the E35 to blend the shade “Shout” directly above the crease, feathering it out to soften the look. Smudge out your liner on the lower lash line using the shade “Reveal” and a pencil brush such as the E20. Finish the look by highlighting the brow bone using the shade "Escape." Voilà - sultry sunset eyes achieved! 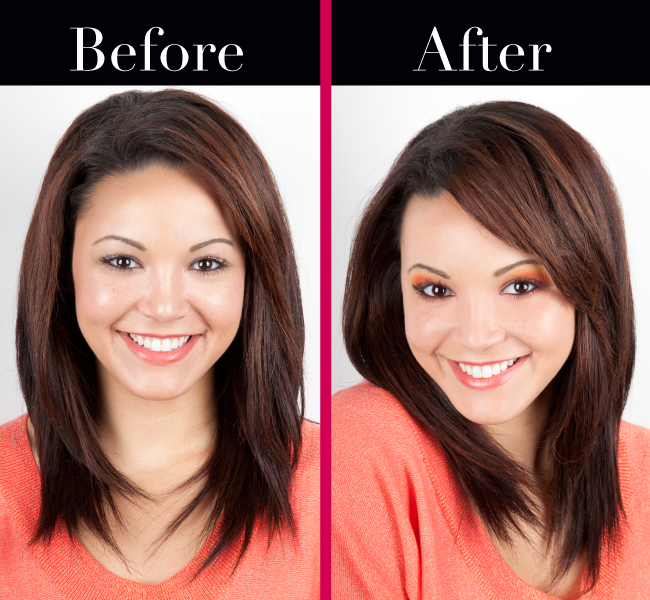 What do you think about using eyeshadow colors inspired by sunset hues? Is this a look you'd consider trying? that's so cool :D i love it! This is a really pretty look. And the model is super cute! this is such a gorgeous shade selection - I love the final look of the eyes! How did she get her eyelashes so long?! You look stunning.You have such a beautiful face too! Gorgeous look...so fresh faced and beautiful!